PETALING JAYA - Malaysia's environment minister Yeo Bee Yin has tied the knot with the scion of a palm oil and property empire. Ms Yeo, 36, and Mr Lee Yeow Seng, 40, registered their marriage, and photographs of the event were posted by Sin Chew Daily news on its Facebook page on Monday (March 11). The registration was witnessed by the parents of the bride and groom. Mr Lee is chief executive of IOI Properties Group, part of the IOI Group controlled by his father, Tan Sri Lee Shin Cheng. Ms Yeo donned a high-necked, sleeveless white dress and carried a bouquet of flowers while the groom wore a royal blue suit. The couple will hold a wedding reception on March 29 at Le Meridien Putrajaya. 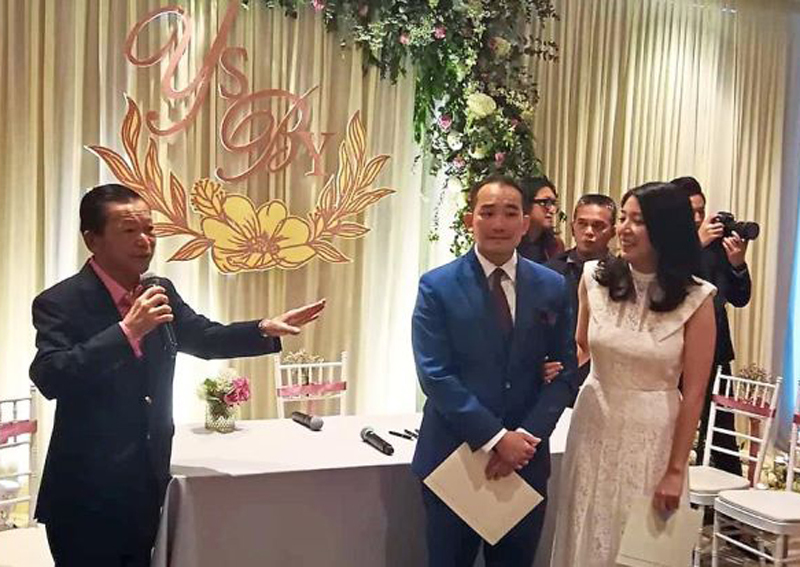 Talk of Ms Yeo getting hitched has been floating on social media since early February, when a Chinese daily quoted an unnamed friend of her family saying the wedding would be held at the end of March. Ms Yeo is Minister for Energy, Technology, Science, Climate Change and Environment. The elder Mr Lee, 72, is one of Malaysia's richest men. The IOI Group sells palm oil products to more than 60 countries. It has at least 175,000ha of land planted with oil palms, and more than 28,000 employees, according to Bloomberg. Forbes listed him as Malaysia's fourth-richest, with a net worth of US$5.2 billion (S$7 billion).